For the past six months, memories of a small kingdom, high on the roof of the world, keeps slipping into my mind. Oh, Bhutan, Land of the Thunder Dragon, how my imagination is painting you in colors of the sun! One of the wonders of a selective memory is the rose colored tint on everything. This is not completely the case with Bhutan. There were things I loved about Bhutan and things that I found less delightful (my apologies to my Bhutanese friends although they are too polite to object). I imagine that Bhutan is a bit like Tibet of yore (or Hollywood’s Tibet). Despite it being the land of Gross National Happiness (the king tells you that you are happy so you will be), it’s not all happiness and light (okay, there is is a lot of light). 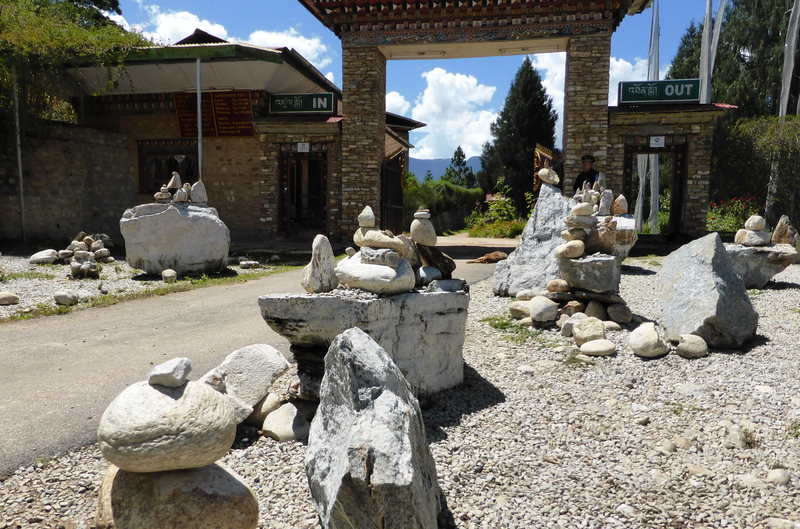 Stones at the entrance to the museum. With April just around the corner, when I think back to the gho-clad men, strong women, crisp air, and quiet spiritualism, my thoughts turn to the spring festival, or “tsechu,” in Paro. The tsechu is a multi-day religious festival and a dream for a photographer (and for those of us who like to take photos). More about the tsechu in a later blog post. My framed Bhutanese boy’s gho. 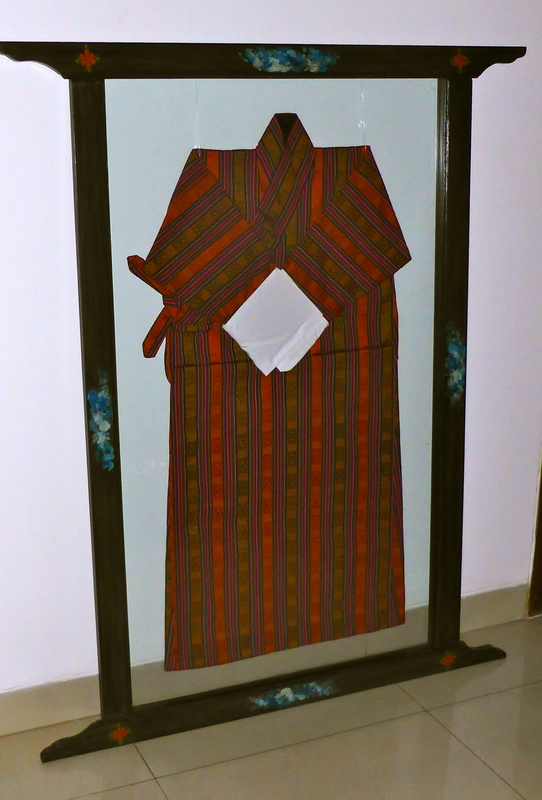 I had so many things from Bhutan framed that my framer asked me if I was Bhutanese. No, but thanks for the compliment.